Former Destination Inspection Agencies (DIAs) at the port are currently seeking to take over maintenance and provision of scanning services at the ports, two years after their contracts expired and functions transferred to the Nigeria Customs Service (NCS). This is coming against the backdrop of increasing concerns over the poor state of the scanning machines at the nation’s seaports. 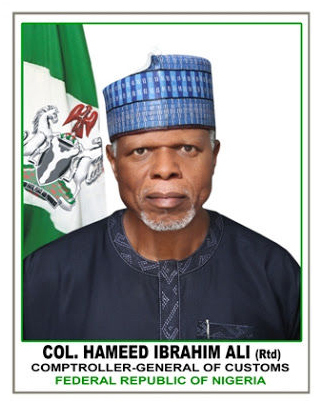 Comptroller General of Customs, Col. Hameed Ali (rtd) who dropped the hint when he visited the scanning site at the Lagos Port Complex, Apapa during his familiarization visit to the various Customs formation in Lagos penultimate Monday said one of the former DIAs made its intentions known when its officials visited him at the Customs headquarters in Abuja recently. “I met with officials of Cotecna and they told me that they want to take over the scanners and I had wanted to ask when I came here to know if they were managing the scanners well when they were in charge,” he said. Ali who was taken through the rudiments of operations of the scanners had expressed satisfaction at the speed the scanners could examine containers but expressed concern over the poor state of the scanners which have since been grounded. Some stakeholders have, however, kicked against the proposed plan by the former service providers to take over scanning operations at the ports noting that the scanners have all packed up because the service providers handed over obsolete scanners to Customs. Others blamed Customs officials for poor maintenance of the scanners. President, National Association of Government Approved Freight Forwarders (NAGAFF), Eugene Nweke said that the DIAs deliberately handed over obsolete scanners to Customs. “The whole handover process was geared towards them coming back because prior to the handing over of destination inspection to Customs, the management of NCS consulted the manufacturers of those scanners and they undertook an audit to evaluate the scanners and the report they came out with was that most of the scanners were obsolete and they are in a terrible shape when they were handed over to Customs,” he said. Nweke advised the Customs to acquire new and sophisticated scanners with the revenue it generated from the collection of the one per cent Comprehensive Import Supervision Scheme (CISS) stressing that Customs has all it takes to manage the scanners. “Why should they come back? Can’t Nigeria manage and implement its own ICT tool? They should get away and let Customs do it. Customs has what it takes to manage the scanners. They should go and acquire new scanners and have the old ones refurbished or throw them away. “We know how much Customs has saved Nigerians for the one per cent CISS they were collecting in the past one year. That should be enough for Customs to acquire scanners. 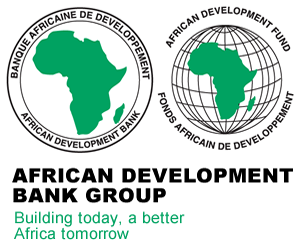 Let us accept our own and believe we can do it better than engaging people making money from the ports,” he added. Factional President, National Council of Managing Directors of Customs Agents (NCMDLCA) Lucky Amiwero, had in a letter he recently addressed to President Muhammadu Buhari also noted that the scanners had all collapsed. He said that in effect, the risk assessment system of the Customs under destination inspection regime has also collapsed due to non-functioning of the scanners. Amiwero argued that apart from the delay as a result of the lack of scanners, there was also the security risk involved. He called on the Federal Government to investigate the Nigeria Customs Service on the state of the destination inspection scheme. “The scanners handed over to Nigeria Customs Service have all collapsed, as all process relating to scanning in the ports are now done physically, bringing us back to complete manual era with lengthy, cumbersome and costly process in the ports,” he said.